94.44% of customers gave 4 star rating or more. 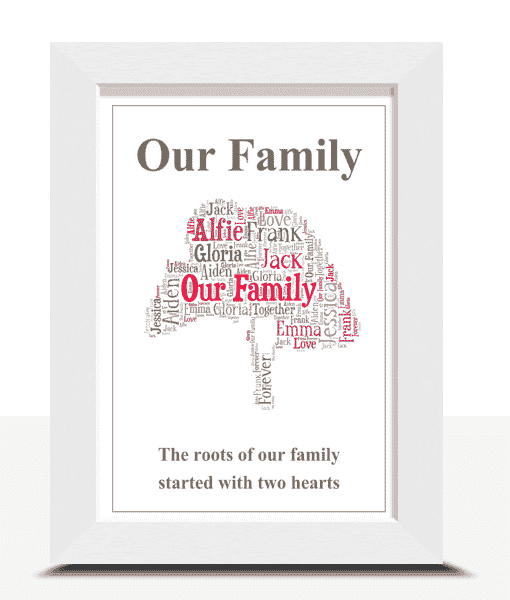 Fully personalised Family Tree Style Word Art Print. 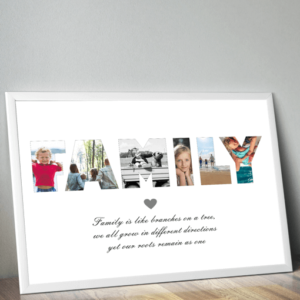 Makes a great family gift. This is the text to go at the bottom of your print. 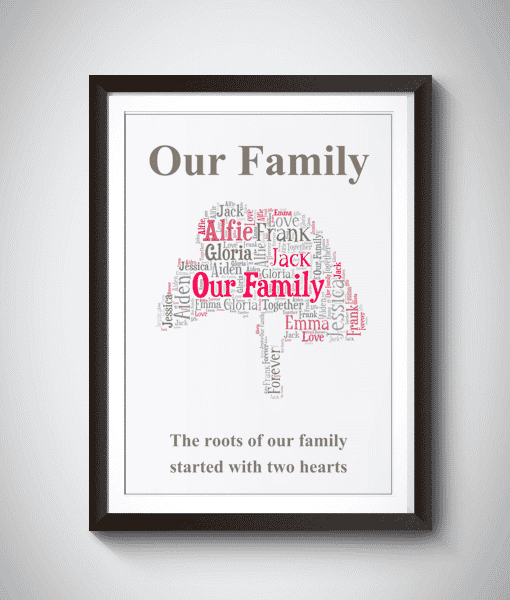 Family Tree Style Word Art Print. 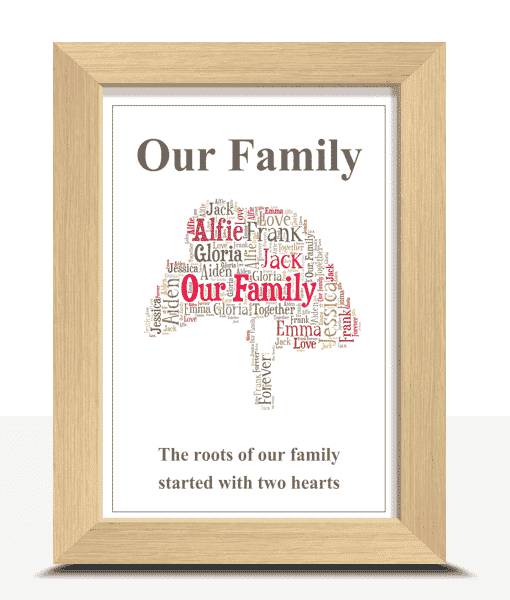 A lovely personalised gift for someone in your family or for a friend. 3. Enter your Print Title (usually the Family Name). 4. 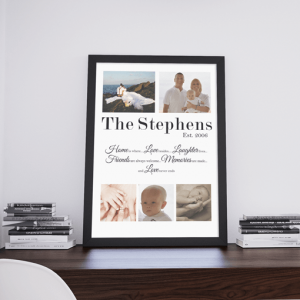 Add the text for the bottom of your print. 5. 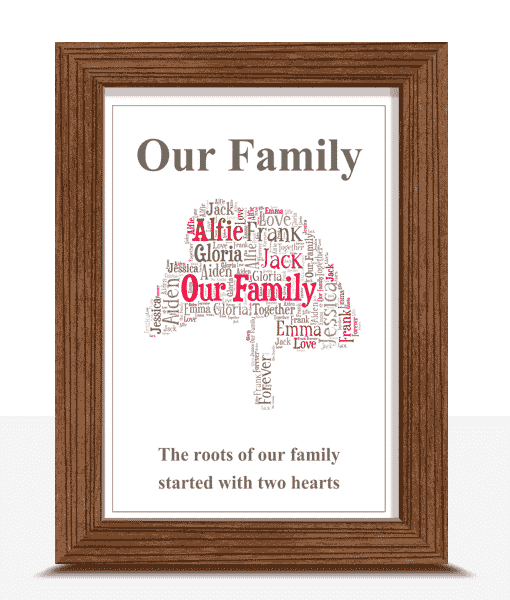 Choose 10 – 20 words to create the word art tree. 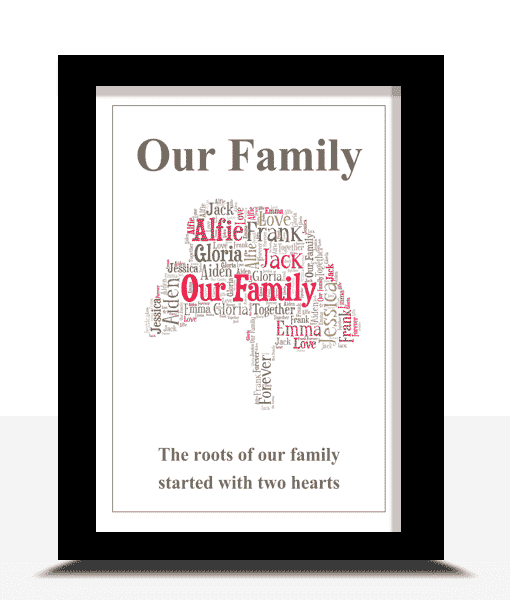 Gloria, Frank, Jessica, Aiden, Alfie, Jack, Emma, together, love, forever. 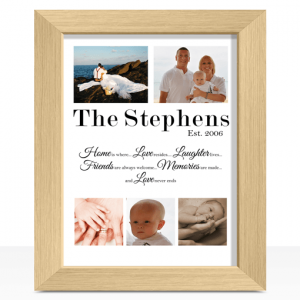 Create your own personalised family photo print. This makes a lovely piece of unique artwork to display in the family home. 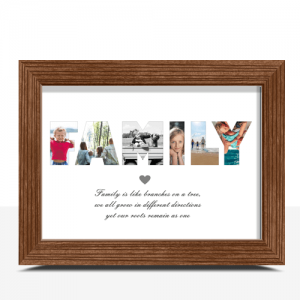 This ‘Family Rules’ print, makes a lovely piece of art to display in the family home.